Published on 30. 05. 2011 in comics and cartooning, hype & linkage, music and pictorial arts. Closed Tags: Chris Ware, Gekiga, Gil Scott-Heron, Jack Kirby, Martin Kober, Michelangelo, Saito Takao. This is a well-written piece on the sometimes hermetic and puzzling vagaries of art world authentication. 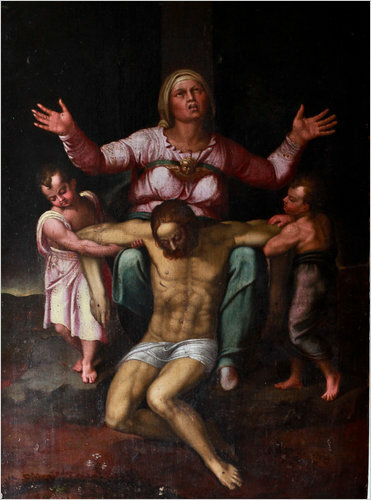 It doesn’t change, however, that there is no way the Buffalo Pietà at its center was painted by Michelangelo. Look at it. The provenance may be compelling, though the argument about the wax seal on the back seems iffy. 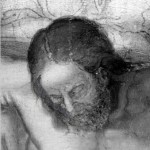 And the underdrawing could of course be by the master, as the owner and his conservator champion claim, but the cropped infrared published in the interactive section of the article (look right) is hard to judge by. Nothing about it yells Michelangelo at this viewer though. The passing of Gil Scott-Heron brought this fine personal tribute from one of his talented heirs, Michael Franti of Spearhead, but if you only read one thing about him, make it this profile by Alec Wilkinson, written last year for the New Yorker. Comics links. Two excellent pieces up at The Comics Journal this week: the latest installment in Ryan Holmberg’s history of gekiga and Ken Parille’s analysis of creation as a motif in Jack Kirby and Chris Ware.